Our company produce:Johnson screen,Water well screen,Wedge wire screen,Wire wrap screen,Wound screen etc. 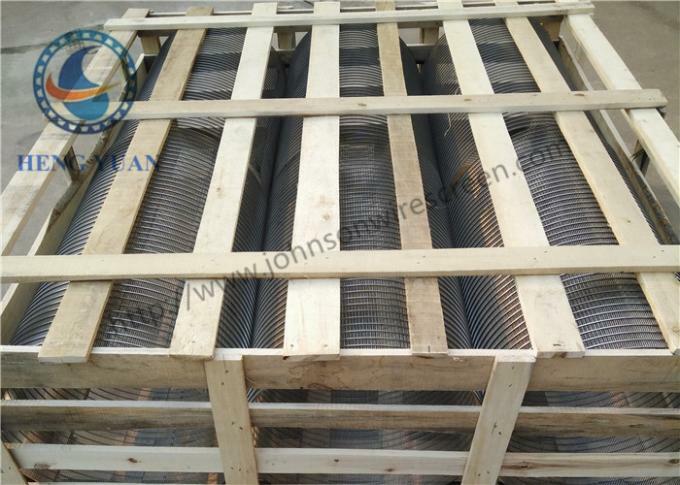 Wedge Wire Wound Screen Slot Filter Screen Cylinder is made by Johnson screen mesh through reverse welding. Whereas,the liquid flow from inside to outside.It is with v-shaped cross-section of the stainless steel wire welded on framework, precision filter slot formed between every two adjacent wrap wire, facilitate the back flush filter residue can be ruled out smoothly, to achieve continuous water supply function. The key point of producing the first-class seiving mesh is the welding process. And based on that, in 2001, we created our automatic welding equipment, which was testified by the practice, the seiving mesh processed have the highest screening efficiency, the strongest seismic tensile ability, need the least maintenance and get the longest life. Filter Type: from inside to outside. Slot type: Inside circle wire and slot. inside vertical wire and slot. Other components : Flange, stiffener, lifting handle, and other type components by request. Special specification can be made according to your need. 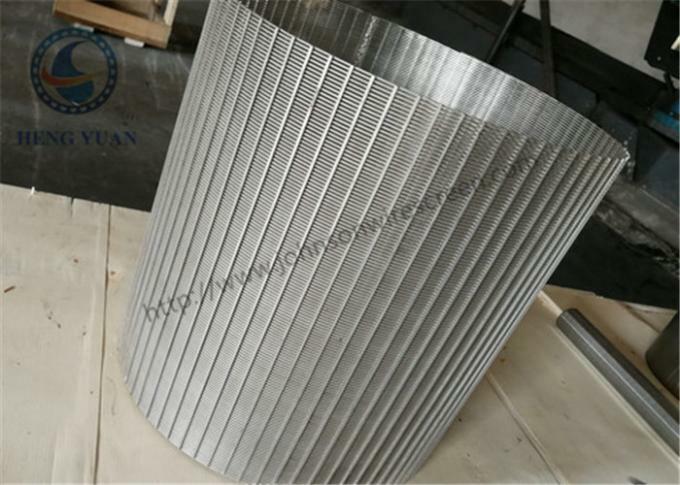 The filter drum produced by Hengyuan Screen has a plurality of longitudinal and transverse reinforcing ribs on the outside, which greatly enhances the crushing strength of the screen cylinder, and is particularly suitable for an extruder having rotating blades inside the screen cylinder. At the same time, since the sieve cylinder is welded by the trapezoidal wire welding around the strip, the gap of the filter cylinder is small inside and outside, so the sieve cylinder is not easy to be blocked, which greatly improves the production efficiency. The inner diameter of the sieve cylinder is within 0.3mm, and there is no friction with the internal rotating device of the filter cartridge, which is just right. The filter cartridge has a filtration accuracy range of 0.1mm-10mm, reasonable structural design and long service life. It is one of the best filter components to date. 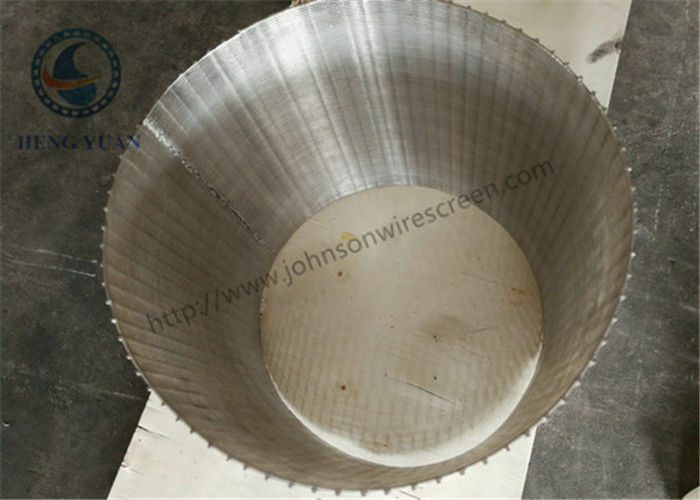 China Good Quality Johnson Wire Screen Supplier. Copyright © 2018 - 2019 johnsonwirescreen.com. All Rights Reserved.